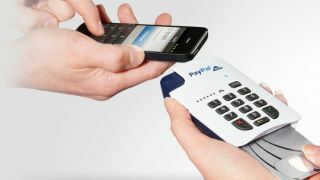 PayPal has unveiled a new chip and PIN version of its PayPal Here payment solution for businesses. The company says the pocket-size handheld device enables small businesses to accept credit and debit cards and PayPal payments easily. It is aimed especially at businesses that have traditionally relied on cash or cheques, and designed for use in countries where credit cards rely on chip and PIN, rather than swiping a card, for transactions. Business users can pair the device with a smartphone using a Bluetooth connection. They log into it through the app on their phone and enter the payment details, following which the customer inserts their card, confirms the amount and enters the PIN. The earlier version of PayPal Here is a device with a card swipe reader that plugs into the trader's mobile phone, and is used in markets where swipe is favoured over chip and PIN. The chip and PIN version will be available to select UK businesses over the coming months before it fully launches in the UK this summer. David Marcus, President of PayPal, says: "We aimed to create a game changing device for businesses in the UK and other nations where chip and PIN payments are standard. The result is a beautiful device that offers a strong and secure solution for businesses and, as importantly, their customers." Marcus says that PayPal spends a lot of time talking to small businesses, and that it used feedback on the need for a simple, secure way to take card payments at any location. The PayPal Here app includes a 'click and call us' button to reach the company's customer service department.